Flexo Shield is an expandable, try high performance sleeving that provides a high level of EMI (ElectroMagnetic Interference) shielding. Flexo Shield is cut and abrasion resistant, very flexible, strong and lightweight. 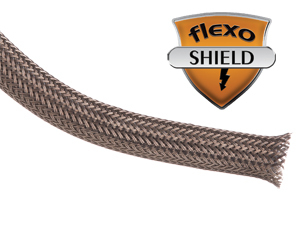 With its high temperature aramid fiber core and special construction, Flexo Shield expands to fit over plugs and connectors and contracts back down for a perfect fit. Flexo Shield is great for applications where light weight and high performance are needed. Such applications may include computer systems, electronic office equipment, medical electronics, communications systems and many more. This product is intended for high flex, high temperature and environmentally tough conditions, making it appropriate for use in aerospace applications. 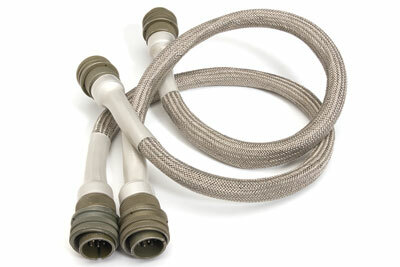 Flexo Shield is available in Silver.